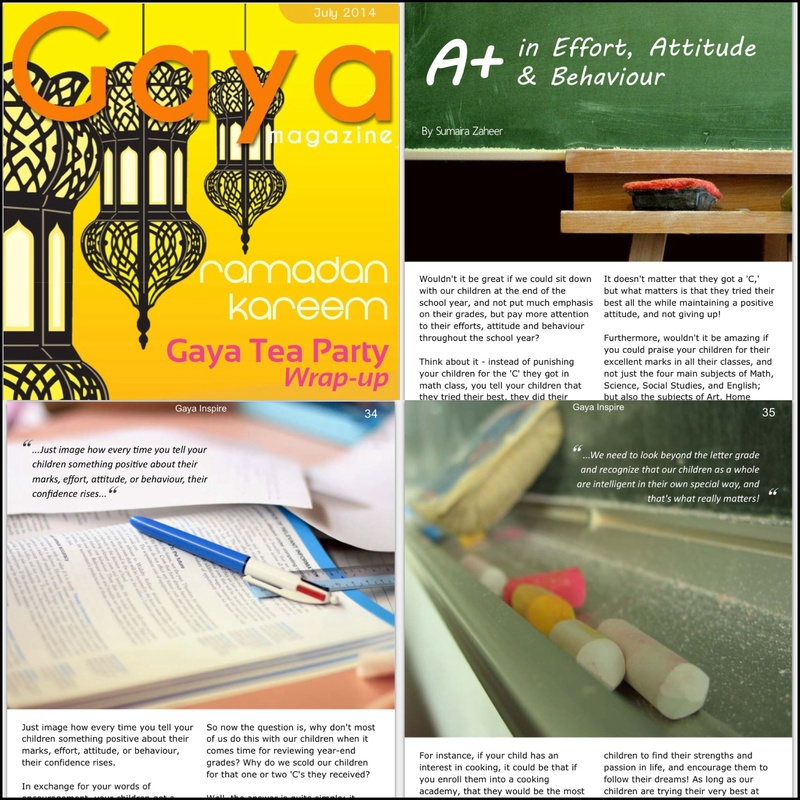 I recently had the exciting opportunity to write for Gaya magazine in the’Inspire’ section – one of my favorite sections! The Gaya ‘Inspire’ section is a place where you will find articles written by strong women who have a positive message to convey. And of course, like the title of this category suggests, it’s a place where you will find inspiration! 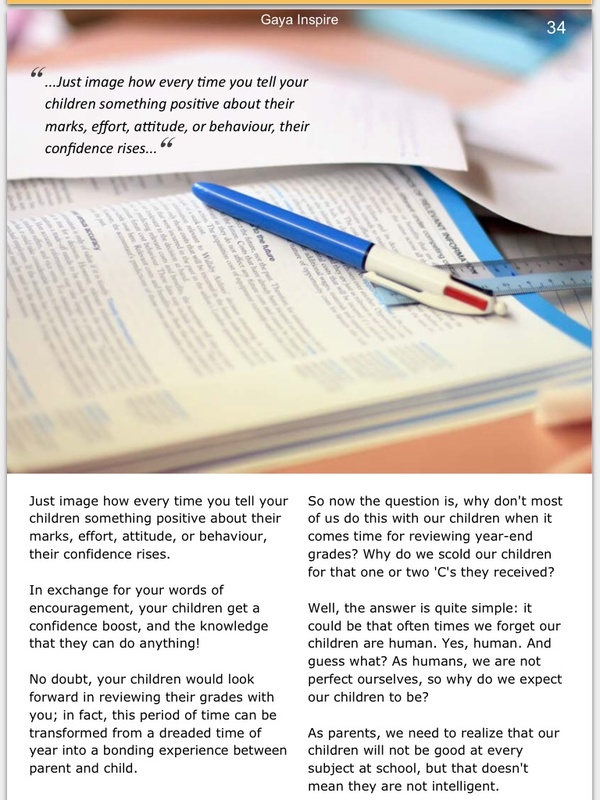 With that said, the topic of my article is about how we can create a positive environment when reviewing grades with our children. 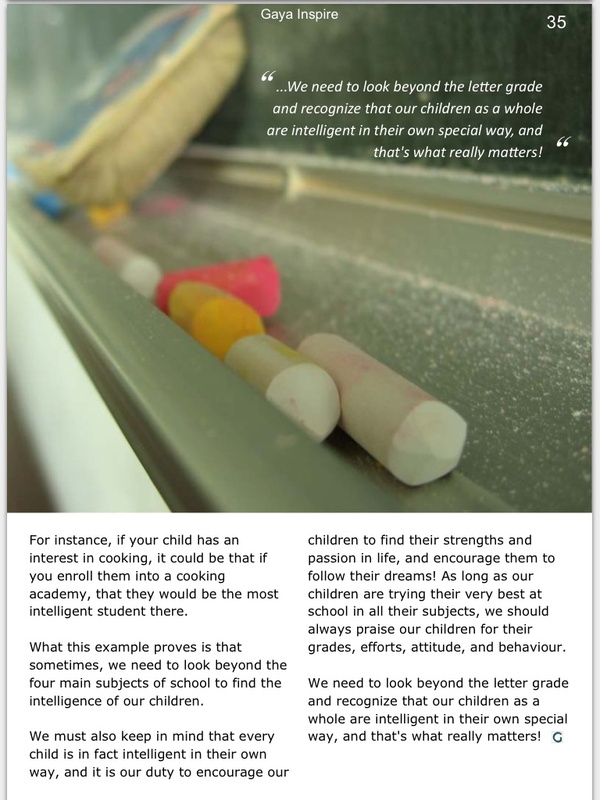 Furthermore, I discuss how we need to make an effort in finding our children’s strengths both in and out of school. great to know about your published article. 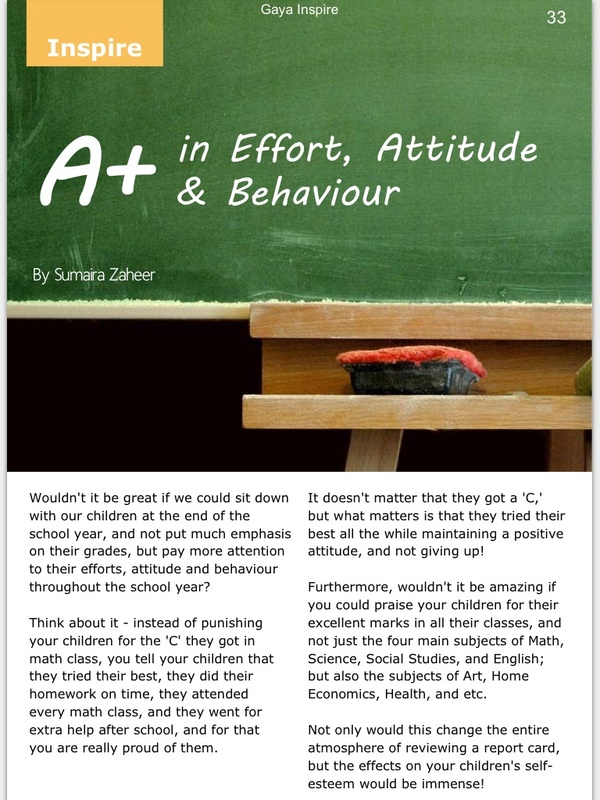 you are right to assign this duty to a mom, as a mom can best know , what efforts her kids are doing, even if, its a C grade in the last. MashaAllah great article sister! Congrats! Assalamu’alaikum, Sis. I’m Eva Fatmawaty. Just the way info, my sis, I have deactivated my FB account for a while, insha’Allah I’ll be back. I have to focus in my writing first, he..he. I’m not a native speaker, so I have to learn more about English. I can ask you via email and your blog. Insha’Allah. Thank you, My sis. Insha’Allah I’ll.